Perlane is a nonsurgical dermal filler that adds volume and fullness to the skin. It corrects moderate to severe facial wrinkles and folds, such as the lines from your nose to the corners of your mouth otherwise known as nasolabial folds. It is a clear injectable gel formulation of hyaluronic acid (HA) that is specifically formulated to add volume like your body’s own hyaluronic acid. The difference of Perlane to other dermal fillers is the size and the depth of injection. The gel particles in Perlane are larger and suitable for adding lip volume and facial contouring. 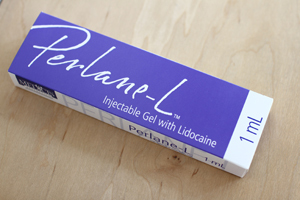 Perlane works by adding fullness to the treated area by injecting the gel formulation in the deeper layers of the skin. The treatment gives a minimal pain sensation.